Freelance management software provides a centralized repository for hiring, project, and payroll management for businesses employing freelancers, contractors, or independent consultants. Freelance management systems oversee the entire freelancer relationship—from finding a freelancer to measuring their performance. This software provides effective freelancer screening and hiring features, onboarding solutions, work collaboration management tools, and organizes freelancer payments, expenses, and contracts. Freelancer management solutions provide powerful, often cloud-based, solutions that streamline hiring, communication, and productivity. All industries, company sizes, and departments can benefit from implementing these solutions, although some vendors specialize in industries like tech, retail, or marketing. Freelance management solutions provide a variety of integrations including CRM software and payroll software. Freelance Management Platforms reviews by real, verified users. Find unbiased ratings on user satisfaction, features, and price based on the most reviews available anywhere. Field Nation provides a solution allowing companies to source, manage, and engage an on-site workforce. The Field Nation Marketplace is full of highly skilled contract technicians in dozens of industries, ready to get work done. With Field Nation companies can search for technicians across the country, post work orders, and manage projects. Companies can also use Field Nation to manage their entire workforce from W2 employees and vendors to contract technicians from the Marketplace. Field Nation allows clients to post work to the Field Nation Marketplace. Within minutes technicians request to complete the work. Clients are matched with top service providers in the work area and choose who to assign the work to. Once assigned, service providers complete the work following direction from the client. Service providers confirm arrival, mark “on my way,” upload photos from the job site, and mark tasks complete. After the job is complete, clients review and approve the work order. Once approved, Field Nation handles the rest: paperwork, payment, and tax documentation are all handled through the platform. 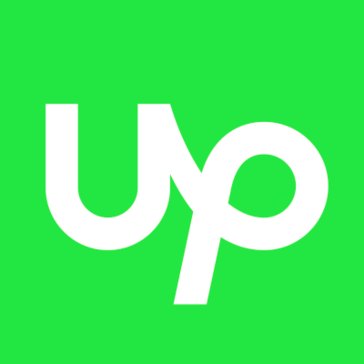 The Upwork Enterprise team built our product from the ground up in 2015 with scale, user experience, and your existing company processes in mind. Kalo is a freelance management system built for companies looking to streamline the way they work with freelancers. Kalo provides one simple platform to onboard, assign work, track invoices and pay your freelancers. Shortlist is the smartest, fastest way to onboard, organize, and pay your freelancer network. Our Freelance Management platform is used by over 70,000 users and the world’s largest brands to streamline and grow their businesses. OneSpace is a comprehensive solution for managing on-demand workforce. WorkMarket empowers businesses with a single source of truth to manage every aspect of their freelance and contractor workforce — onboarding, compliance and reporting — from a single dashboard. Spera's freelance platform lets you organize your clients, grant them varying levels of permissions to your projects, and quickly access their information when you need it. Contractor Management provides contractor management services with attendance tracking, including remote locations and construction sites, hazard notice compliance, and induction management across one or multiple sites. Freework freelancer management software provides intuitive tools to streamline your freelance process at your company. Easily find and manage your external collaborators on one platform. Talao is the first blockchain based platform helping enterprise to source and retain the best freelance talent. TalentDesk.io is a cloud solution designed to enable organisations to conveniently assemble and manage on-demand flexible teams in one place. TalentDesk.io offers a unified platform to instantly create new projects, assign work and budgets to flexible teams, and automate invoice payments and reporting. All your part-timers, on-site contractors, and on-demand freelancers can be rated, managed and paid in a seamless flow, solving the headache of scattered resources entirely. Veristo is a cost-effective, streamlined vendor management and freelancer management software solution for your small business. 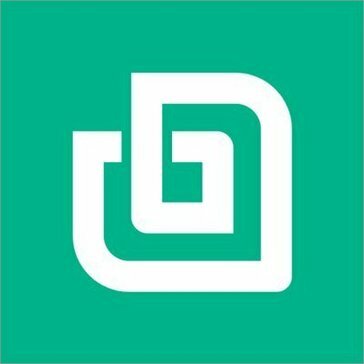 The platform provides simple and efficient tools for sourcing and procurement, proposal management, contract management, and invoice management to optimize working relationships between small businesses and their freelancers and vendors. Hi there! Can I help you find the best Freelance Management Platforms solutions?